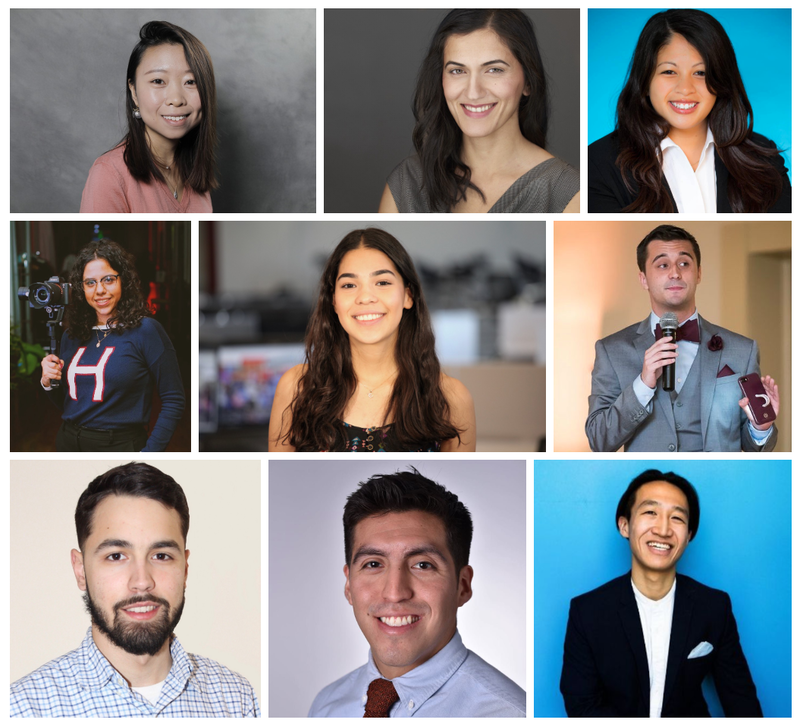 Earlier this year, the Center for Cooperative Media at Montclair State University announced the third iteration of an award fund dedicated to helping New Jersey journalists attend trainings, events and conferences hosted in 2019 by organizations that work toward improving diversity, equity and inclusion in media. Last year, we awarded nearly $10,000 in grants to two groups of journalists based in the Garden State to attend events hosted on by the National Association of Black Journalists (NABJ), the Asian American Journalists Association (AAJA), the National Association of Hispanic Journalists (NAHJ), the Native American Journalists Association (NAJA), the Association for Women in Sports Media (AWSM) and the NLGJA — The Association of LGBTQ Journalists. Today, we’re excited to introduce you to our third round of grantees! We expect to announce another round of grantees in the coming months. Ambreen Ali is a freelance journalist based in South Orange, N.J., who writes about technology, politics and food. She worked as an editor covering the media industry for SmartBrief for four years and, prior to that, as a reporter covering Congress for CQ Roll Call for four years. 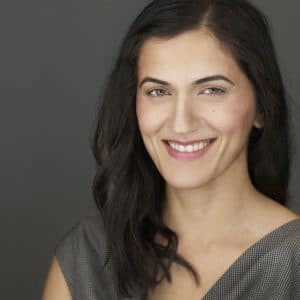 She has also covered the White House press pool, investigated the Seattle Police’s use of force for the Seattle Post-Intelligencer, and reported from South Asia — most recently on how ridesharing apps are helping women gain independence in Pakistan. She holds a graduate degree from the Medill School of Journalism at Northwestern University and a B.A. in finance from the University of Washington. She is a West Coast native who loves to cook and run — mostly after her two kids. She will attend the AAJA national conference. 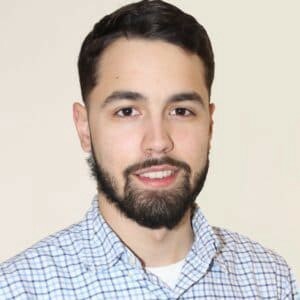 Mariano Arocho III is a New Jersey native who has worked for several nonprofit organizations in the region, including the YMCA, NJCDC, and as a communications intern for the NYC District Council of Carpenters, where he handles social and digital media. He is also a recent graduate of the School of Communication and Media at Montclair State University. Mariano and a team of Montclair State students and faculty visited Puerto Rico in March 2018 and produced videos about the effects of Hurricane Maria on the island. The team won a 2019 College Television Award — which is considered the equivalent of a student Emmy award — from the Television Academy Foundation for that work. He attended the 2019 College Television Awards. Laura Galarza recently received her B.A. from the Communication and Media Studies program at Montclair State University with a minor in business. She is currently the Director of Photography for a local multimedia business. As an undergraduate in her senior year, Laura was part of a team of student journalists that visited Puerto Rico in the wake of Hurricane Maria. In addition to producing her own story, she also assisted the team with video production. The team won a 2019 College Television Award — which is considered the equivalent of a student Emmy award — from the Television Academy Foundation for that work. Laura is passionate about film and photography and has a deep love for storytelling. She attended the 2019 College Television Awards. 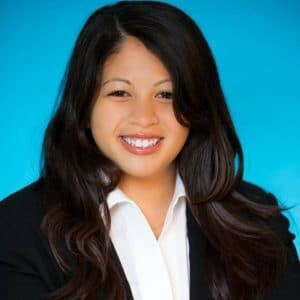 Babee Garcia is a freelance multimedia journalist and Marine Corps veteran from Elmwood Park, N.J. She recently graduated from Montclair State University with a B.A. in journalism, where she was actively involved in campus media organizations, including The Montclarion, 90.3 FM WMSC, and the SALUTE national military honor society. She was also an executive producer for Montclair News Lab and interned at the Elvis Duran Morning Show and NorthJersey.com. 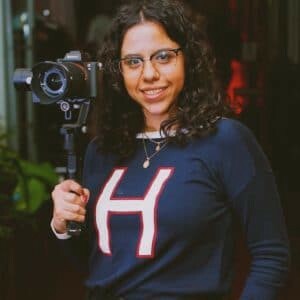 She was recently part of a team that won a 2019 College Television Award — which is considered the equivalent of a student Emmy award — from the Television Academy Foundation for work in Puerto Rico. In her career as a professional journalist, Garcia looks to the three core values she learned in the Marine Corps: honor, courage, and commitment. She attended the 2019 College Television Awards. Genesis Obando is a junior at Montclair State University majoring in journalism with a minor in sociology. Obando is a staff writer for The Montclarion. She is especially proud of a reporting project she did in the aftermath of Hurricane Maria in Puerto Rico during the spring of 2018, where she produced a video about a family restaurant that was damaged in the hurricane but was slowly being brought back to life. 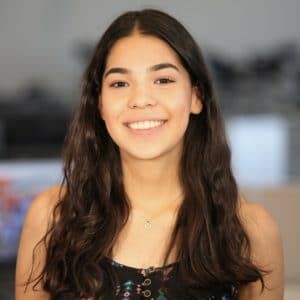 Her video was featured in a special episode of Montclair News Lab, which won a 2019 College Television Award — which is considered the equivalent of a student Emmy award — from the Television Academy Foundation. She attended the 2019 College Television Awards. Joe Hyer is the director of Digital Strategy for Townsquare Media’s largest music radio station, WPST-FM in Trenton/Philadelphia. 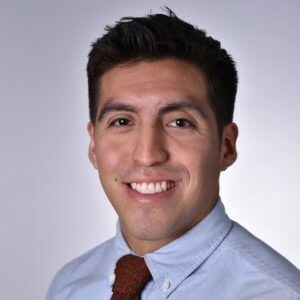 A 2012 graduate of Emerson College’s journalism program, Hyer won a 2012 New England Emmy Award for his work as the co-Executive Producer of EIV News Live at 9. Most recently, Hyer was a reporter for Radio.com’s pop music, entertainment and lifestyle news. 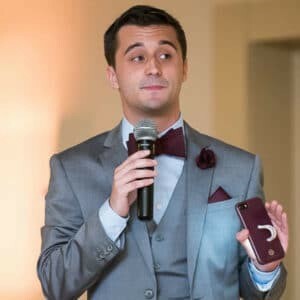 In his spare time, Hyer is active with Philadelphia LGBTQ non-profit sports league, Stonewall Philadelphia, and he serves as a mentor to LGBTQ youth with HiTops based in Princeton, N.J. He will attend the NLGJA national conference. Madjiguene Traore earned her B.A. in journalism from Montclair State University. As an undergraduate, she traveled with faculty and fellow students to Puerto Rico to report on the aftermath of Hurricane Maria. The experience was one of the most meaningful of her college journey. It helped her grow not only as a storyteller, but also as a person. Currently, she is actively searching for a job in media where she can enhance her skills and learn new ones. Her dream is to one day become a documentary filmmaker. Madjuguene attended the 2019 College Television Awards. Rodrigo Torrejon is a breaking news and trending reporter for The Record and USA TODAY NETWORK New Jersey. Previously, he was a municipal reporter covering a handful of New Jersey towns. He has been a journalist for four years but has been involved in journalism since receiving his journalism degree from Temple University. He is very proudly Latino and is excited to meet Latinx journalists at the NAHJ Excellence in Journalism Conference. He hopes to learn from veterans and young journalists in the field who grew up much like he did. 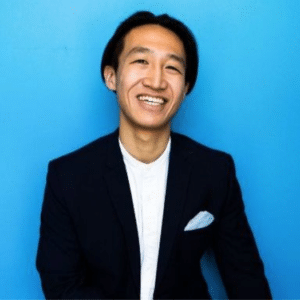 Lawrence Wu is a producer for NPR’s first history podcast, Throughline. He is also a former producer at National Public Radio for the shows How I Built This and TED Radio Hour. A recent graduate of New York University, Lawrence has also appeared on a This American Life episode. He will attend the AAJA national conference. 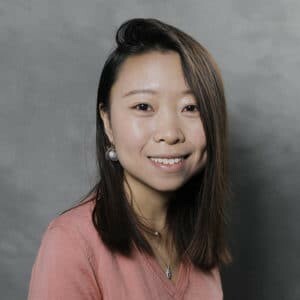 Yan Wu works as a News App Developer/Designer on the Data & Investigations team at NJ Advance Media. Before that, she worked at Reveal as one of eight 2018 Google News Lab Fellows. 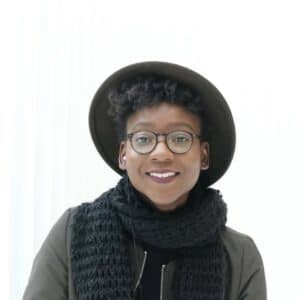 She also worked as a data visualization developer intern at the Boston Globe, where she collaborated with the Spotlight team on a story that was honored as a Pulitzer Prize finalist and won a silver award in SND’s best of digital design competition. Before she came to the US, she worked as an editor for two years in China and earned a degree in computer science. Yan will attend the AAJA national conference. And good news in case you didn’t know about this opportunity before today: You can still apply! We’ll keep applications open until we exhaust the fund, but don’t wait; — get your applications in today because the funds are limited. What can this money be used for? Grant funds may be used to cover registration, travel costs or member dues related to the event. Grants may be applied to more than just the events and organizations listed above; applicants will be asked to indicate which training, conference or event they are applying for when submitting their application. If you’re looking for more information on this subject or want to find other institutions and opportunities for training, conferences and mentoring, check out this Journalism Diversity, Equity and Inclusion Tracker spreadsheet (very useful stuff). Journalists of color are highly encouraged to apply, but the grants are open to journalists of all backgrounds. – Reside or work in New Jersey. – Provide proof of employment in media, or proof of being a student studying journalism or a related field. – Detail which event they will use the scholarship to attend. – Agree to share information about what they learned after the event, for the benefit of others in the New Jersey ecosystem. For more information, or if you have any questions, let us know. Send us an email at info@njnewscommons.org. Joe Amditis is the associate director of the Center for Cooperative Media at Montclair State University. Contact him at amditisj@montclair.edu or on Twitter at @jsamditis. About the Center for Cooperative Media: The Center is a grant-funded program of the School of Communication and Media at Montclair State University. The Center is supported with funding from the John S. and James L. Knight Foundation, the Geraldine R. Dodge Foundation, Democracy Fund, the New Jersey Local News Lab Fund of the Community Foundation of New Jersey and the Abrams Foundation. Its mission is to grow and strengthen local journalism, and in doing so serve New Jersey residents. For more information, visit CenterforCooperativeMedia.org.